Dr. Kaye grew up in Passaic, New Jersey. He received his medical degree from New York Medical College, where he met his wife, Wendy D. Kaye, also a pediatrician. Dr. Kaye completed his pediatric residency through the Phoenix Hospitals Affiliated Pediatric Program. He is Board Certified in Pediatrics. Dr. Kaye has been recognized as a “Top Doc” by Phoenix Magazine, as one of the “Best Doctors in America”, and has received the “Patients’ Choice Award” as one of Arizona’s favorite physicians. In his free time, Dr. Kaye enjoys spending time with his family. They share a love of volunteering. Dr. Kaye is on the Executive Board of the largest student run non-profit organization in Arizona, Students Supporting Brain Tumor Research, which allows him to work closely with high school and college students from around the state. Every summer he travels on medical missions to Ecuador and Nicaragua, serving children who otherwise have no access to pediatric care. Dr. Kaye has also been an active volunteer for Hospice of the Valley and The Crisis Nursery. He is past president of the Phoenix Pediatric Society and served as Chairman of the Medical Education Committee at Phoenix Children’s Hospital for 15 years. There, he also received a special award of recognition for teaching Pediatric Residents in their Continuity Clinics. Recreationally, he enjoys standing on his head during Yoga classes and aspires to play a decent game of tennis one day. Dr. Barbara Lednicky is board certified in pediatrics and a Fellow of the American Academy of Pediatrics. Dr. Lednicky received her medical degree from the University of Texas Southwestern in Dallas, Texas. She completed her residency at Children’s Medical Center of Dallas. 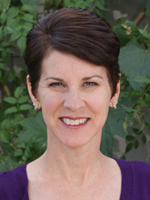 After completing her residency in 1994 she moved to Arizona and joined Phoenix Children’s Center. She is now President of the Phoenix Children’s Center. 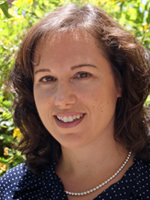 Dr. Lednicky has taught resident physicians at Phoenix Children’s Hospital (PCH) in the outpatient continuity clinic. She has participated in various committees at PCH. She is currently on the physician review committee for Valley Pediatric Triage. Dr. Lednicky has special interests in dermatology and infectious disease. She considers her most important tasks as a pediatrician to be an advocate for children and an educator of families. Most of Dr. Lednicky’s activities outside of work revolve around her husband, 2 children, and dog Rusty. She enjoys reading, any outdoor activity, and travel. Dr. Lefkowitz grew up in upstate New York. She always knew she wanted to be a pediatrician, and she even told her own doctor so from the time she was about ten years old. Dr. Lefkowitz then did her pediatric residency at the Albert Einstein Medical Center in the Bronx, New York and spent one month practicing pediatrics in Israel. During her residency, she also visited her best friend from grade school in Phoenix and fell in love with Arizona. 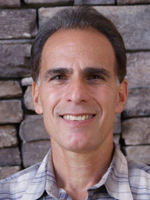 Dr. Lefkowitz has been practicing pediatrics in Phoenix since 1997. She spent 5 years at a community health center before joining The Phoenix Children's Center in 2004. Outside of the office, Dr. Lefkowitz is quite busy with her family--her husband and three children, ages 8, 6, and 2. In her free time, she enjoys spending time outdoors with her family, hiking, playing soccer, scrapbooking, and, of course, traveling. Dr. Lefkowitz is also busy with the newest addition to her family, her horse, named Honor, whom she enjoys riding as often as she can.